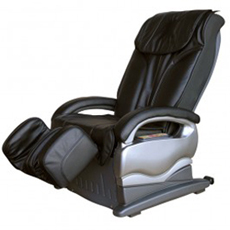 This chair offers intense deep tissue kneading and knocking massages for the torso as well as air bag massages for the thighs and calves. 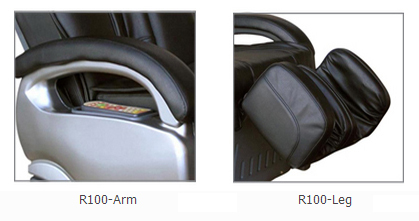 The R100 Massage Lounger is Repose's entry level massage chair. 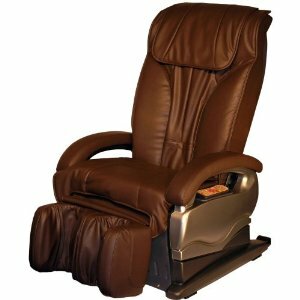 This chair offers intense deep tissue kneading and knocking massages for the torso as well as air bag massages for the thighs and calves. This chair has a modern style and an extremely firm massage. Enjoy intelligent, pre-programmed massage cycles. Simulate human hands, performing Shiatsu and Swedish massages. Airbags simulate a wave-style massage, helping to increase blood circulation. Automatic timer allows you to specify the length of each session. Fashionable styling makes the lounger the total package. The control panel is easy to use and allows you to select personalized massage programs by the touch of a button.